Last week my copy of the twentieth anniversary edition of Mslexia magazine dropped through the door. Mslexia, for those who haven’t heard of it before, is a quarterly magazine for women who write. I’ve been subscribing to it for some time now after it was recommended to me by a playwright friend of mine, and always find the topical articles, industry insights and showcases of writing enjoyable and often thought-provoking to read. This quarter’s edition features an article which really resonated with me. It’s entitled ‘The Tests of Time’, and begs an important question. ‘Most women work a double shift, of day job and caring responsibilities,’ the writer Aki Schilz states. ‘So how are we to fit in a third shift of writing?’ Yes, I thought – how, indeed. After reading the article, I began to think about my own life and the challenges to finding the space and time to write which I experience, and how well (or otherwise) I overcome these. Like so many women who write, I have work and family responsibilities. These responsibilities are never static; instead they evolve as, for example, children grow older and jobs change, and thus my writing practices too have had to adapt. When I started writing my first novel, The Gisburn Witch, back in late 2013, my children were younger and I worked only at the weekends. This meant that on weekday evenings the children would be in bed by 7pm, leaving me a full evening to write. I wrote a lot in the evenings back then, and thinking back my routine was very fixed and predictable. I also had time in the day when my children were napping or at nursery to grab an hour or two to write. This routine is now a thing of the past: evenings are trickier as my kids go to bed later, often they have evening activities, and indeed I now have a different job with more varied hours and it’s not uncommon for me to be out at work in the evenings as well as during the day. These days my writing routine has to be more fluid (I’m going to use that word as it sounds better than ‘erratic’). So, what impact does this have on my writing? Well, for one thing, it’s got progressively slower. Those who follow my blog regularly will know that I’m currently working on my forthcoming novel The House at Kirtlebeck End; it’s almost a year since I wrote the first chapter in that story and I’ve still got about another 40,000 words to write. Usually I aim to write a novel in around nine months – this is something I managed to do with A Woman Named Sellers and Ethersay, but in recent times it’s become apparent that this is no longer a realistic target. I also find that having to be creative about carving out time makes getting into the right frame of mind for writing very hit or miss. There are days when I write a lot, when I feel good about what I’ve put down on the page and when I feel a sense of achievement. And there are other days when after everything else is done and I sit down to write, I either hate what comes out or, more often, I have to accept that it just isn’t happening, that I’m drained and I’ve nothing left with which to create. That’s frustrating and it’s hard because I feel then like I’m the barrier to my own work. Of course, it isn’t all doom and gloom. Learning to be adaptable means that I’m very good now at writing anywhere. I don’t have to be in my own home or my own room to write, but I can comfortably take my laptop into a busy cafe or noisy soft play and just get on with it. When I’m in the right frame of mind for writing, I’m also better at using the time I do have to write, at getting myself immediately focused on the task of putting words on the page. Tiredness might be a problem, but procrastination isn’t. On reflection, I think the key for me is to recognise that there are constraints and pressures on my writing time, and that those are things I cannot change, although those constraints themselves will evolve over time. What I can do, however, is value the time I do get, put it to best use, and focus on what I do manage to do, rather than fretting over what I didn’t do. And, on that note, I’m off to do some writing. Happy Saturday! For me at least, it’s been something of a long week, but by no means an uneventful one. It’s also been a bit unlucky. Over the last seven days I’ve managed to hit myself in the face with an I pad resulting in a bit of a colourful right cheekbone (thank goodness for make up), and I’ve got yet another cold which has caused laryngitis. Yesterday evening I lost my voice completely; thankfully my voice seems to be coming back now but squeaking at my family is far from ideal! I hope this has you intrigued! I’m really excited about this book and the more I write, the more I can’t wait to share it with you. I aim to have the first draft finished in the next couple of months. I also took some time to catch up on how my other books are doing, and noticed that The Gisburn Witch has a new review on Amazon UK. It was lovely to see that a reader has given it five stars and left some really positive comments about the book. It’s no exaggeration to say that good reviews really do make my day. 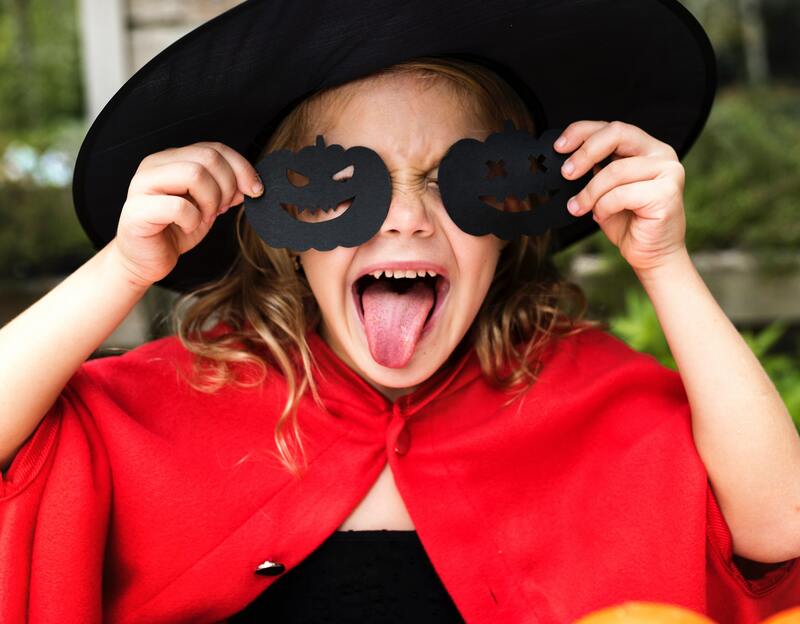 The Pendle Witch Trials have been getting quite a lot of attention again, generated by big new releases in the literary world such as Stacey Halls’ The Familiars, and television shows such as Channel 5 (UK)’s Digging Up Britain’s Past. I have finally found some time to catch up with this series and watch the episode about the Pendle witches. The episode focused on an archaeological dig to try to locate the remains of the lost Malkin Tower, home of the Device family. 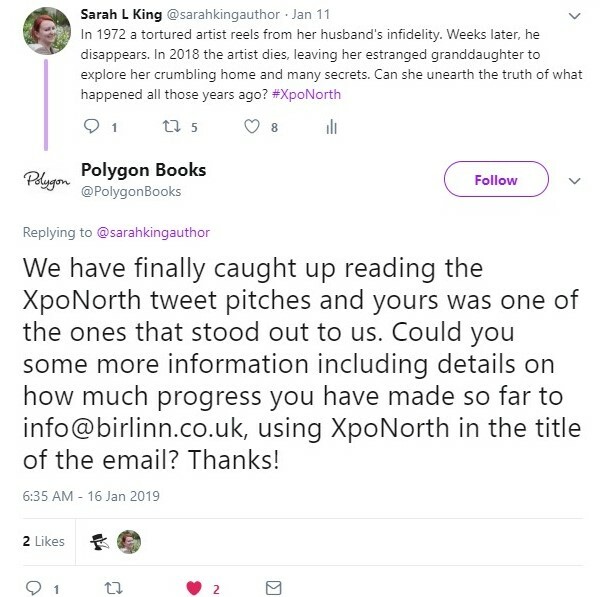 I won’t spoil it by telling you if they were successful or not, but it is good to see that after hundreds of years this tragic tale is still attracting interest and attention. If you want to find out more about the TV show, check out the review on the Radio Times website. 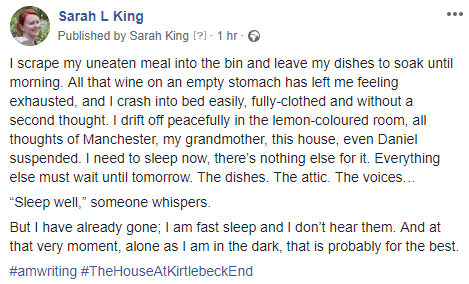 I hope you all have a lovely weekend – I’m off to try and get The House at Kirtlebeck End up to 70,000 words before Sunday night! It’s all about setting goals…! Those of you who follow my blog regularly will know that a month ago I made a pledge, banning myself from social media, blogging and all manner of other online browsing distractions to focus on my latest project. Well, things didn’t quite go according to plan. In the end I managed around 7,500 words in four weeks, which in the grand scheme of writing a novel, isn’t a great deal. Turns out that although you can remove yourself from the internet, you can’t remove yourself from life. For a time a few real-life events took over, which meant my writing had to take a back seat. Also, if I’m completely honest, I struggled to stay away from social media, for which I blame my politics addiction, particularly the mind-blowing boorach which is Brexit. So, where to now? Well, I’m not planning to extend my internet ban, but I am hoping to get on with some writing, despite the busy festive season ahead. I think the key will be making time but also giving myself a break – if the past month has taught me anything, it’s that so much in life is unforeseen and outside of our control, and that distraction comes in many forms. What struck me, more than anything, is how life’s twists and turns can absolutely leave you in the ‘wrong’ place to write, so that even when you find the time and space, you don’t necessarily feel like writing. In the years I have been crafting stories, it has only been very recently that I have encountered this feeling. I’m not going to lie to you, folks, it’s a tough one to overcome. One way or another, however, I am going to finish this book. I’m excited about it and I believe in it, and as 2018 comes to a close, it is that sense of determination which I plan to focus on. …and get on with some writing. I’m about 27,000 words in to my current work-in-progress, which I think is either really good or not nearly good enough, depending on my mood and what day of the week it is. However, Christmas is looming large and as my kids keep telling me, it is only a matter of weeks now until the festive season begins and brings 2019 in directly behind it. Time really is marching on at a pace. I am keen to make some rapid progress on my new book before the end of the year. With this in mind I have decided to put myself on a firm distraction ban for about a month, to spend some serious quality time with my new plot and characters, and to notch up that word count considerably. So, for the next four weeks I’m going to take a break from blogging, from social media, and from aimlessly browsing the internet. It’s going to be tough but I’m going to do it because I think it will be good for me, and I think it will be good for my book. So, I’ll see you all on the other side! I will be back in December with an update on how my focused writing time went, as well as a review of my favourite books of 2018.